Papers presenting case studies that consider this theme from Cyprus' ancient history to the present day, as well as comparative case studies taken from other Mediterranean islands, are welcome. 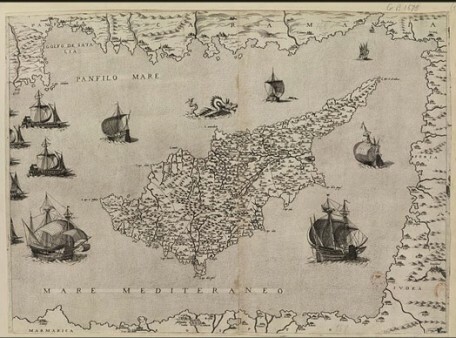 “Island Insularity and Connectivity: an interdisciplinary symposium on Cypriot island identity in the Mediterranean from antiquity to the present day” will take place at the Warwick University. Keynote Speaker is Professor Nicholas Purcell (Classics, Oxford). As the world’s largest inland sea joining the continents of southern Europe, northern Africa, Anatolia and the Levant, the Mediterranean Sea has long been identified as a unique maritime arena, the connectivity of which influenced the emergence of cultures and societies in its earliest history. The ecology, geography and climate, along with the movement and settlement of people across the region driven by trade, war, conquest, colonisation and tourism, has shaped the character of the Mediterranean as a region, particularly its islands. Since antiquity, the island of Cyprus has acted as an important hub in the Mediterranean: situated at the crossroads of the eastern and western worlds, the combination of Cyprus’ geographical location, natural resources, political and commercial connections has rendered the island as an attractive proposition for many. The island continues to be identified as a cultural melting pot where cross cultural exchanges, from the distant past to the present day, continue to be seen and experienced in the fabric of its culture and society. Building upon an initial workshop that took place in October 2013 at the Institute of Advanced Study (University of Warwick), this interdisciplinary symposium will explore the complex topic of ‘Cypriot island identity’. Papers presenting case studies that consider this theme from Cyprus’ ancient history to the present day, as well as comparative case studies taken from other Mediterranean islands, are welcome. -The ecology and geography of the Mediterranean as a region and the impact of this on the connectivity and insularity of Cyprus. -The internal insularity and connectivity of local Cypriot communities. -The legacy of empires: annexation, colonisation, administration. -The movement and settlement of communities. -The emergence of, and tensions between, multiple and competing local identities. -The articulation of Cypriot identity in literature and in visual material culture. -How archaeology and ancient history has been used to define Cypriot identity. Please submit all abstracts (maximum 300 words, accompanied with a short bibliographical note) to [email protected] by Tuesday 31st March 2015. Registration for this event is free. Lunch and refreshments will be served throughout the day. This event has been organised by Dr Ersin Hussein (the Institute of Advanced Study | Department of Classics and Ancient History).